EASY AND SAFE TO DEAL WITH. 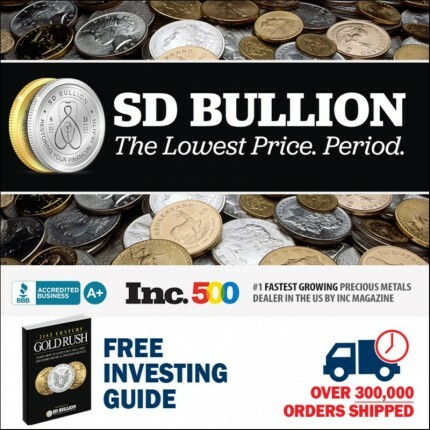 I TRUST SD BULLION. IM A NEW INVESTOR AND MY SMALL INVESTMENTS ARE TREATED AS THOUGH I WAS BUYING OUT THE MINT. THANKS DOCS.